Are you looking at hiring a contractor? Want to develop in-house but don’t have the full skill set or time? Are development costs and timescales a concern? 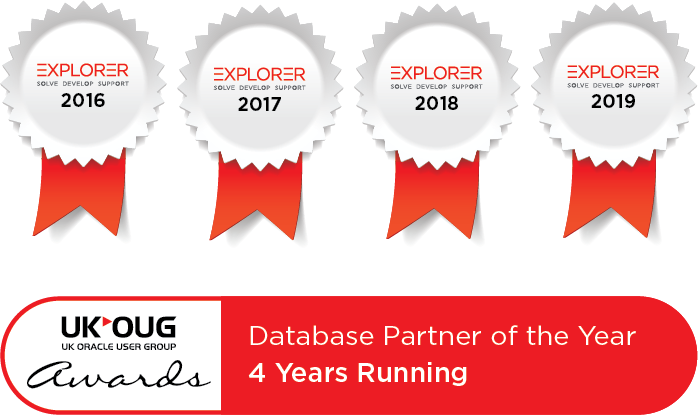 Explorer has built up an envious reputation as being the UK’s leading Oracle Platinum Partner specialising in bespoke application design and development using Oracle Application Express (APEX). We’re proud to have a long history with our clients, and we revel in the satisfaction of leaving them in a far stronger position than before we first met. What you probably don’t know is we cost about the same as hiring an individual consultant and offer many more benefits! Arguably less than hiring an independent consultant, especially when you factor project creep into a business critical application. That’s why we give you the choice of how you want to fund your project. We also offer one of the UK’s best Oracle APEX Developer training programs so we can spread the development workload with your existing staff if preferred. Our most popular scheme, we’ll agree a detailed project specification and deliver it to a fixed budget. Control your costs and delivery time. The same as any other freelance APEX developer, we’ll provide an estimate for the work and charge you for the time taken. Perfect for smaller projects and intermittent support. Are you looking for Oracle APEX Development services?